Grab your mask and snorkel and come on an unforgettable adventure to the Great Barrier Reef! 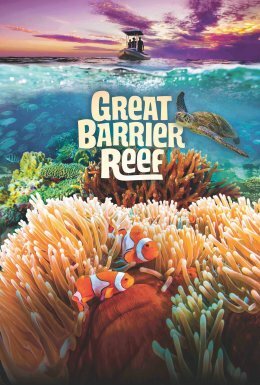 Narrated by acclaimed Australian actor Eric Bana, Great Barrier Reef captures the natural beauty and exquisite strangeness of the world’s largest living wonder and introduces us to the visionaries and citizen scientists who are helping us better understand and protect this awesome, bizarre, and vibrant living world. Meet reef native Jemma Craig on an expedition to document efforts to preserve the reef and swim with giant mantas, sea turtles, sharks and Minke whales as you explore this awe-inspiring natural wonderland on the world’s largest screens! World Golf Hall of Fame IMAX Theater 2019 © All rights reserved.